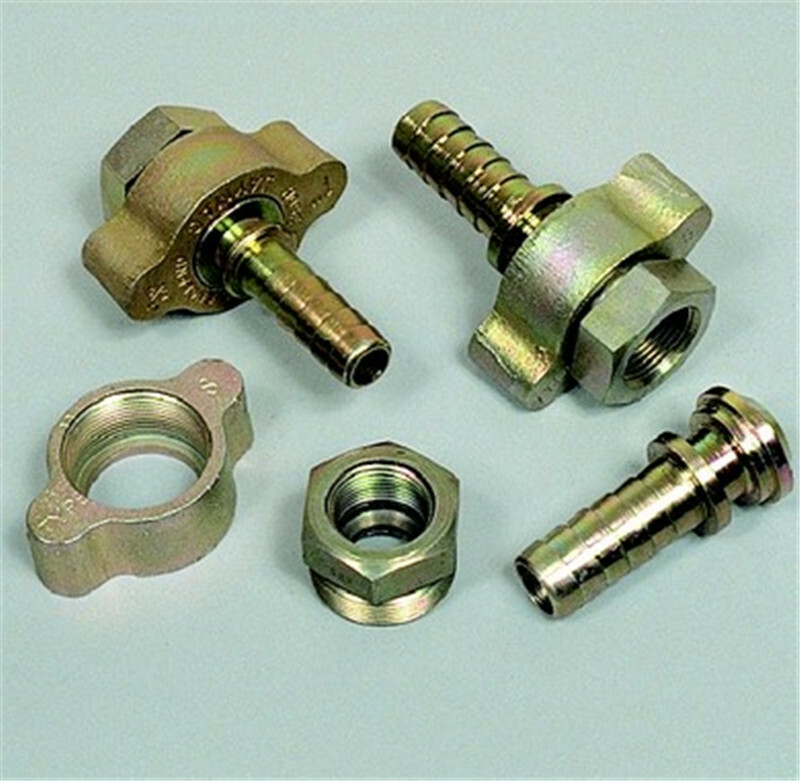 To supply a convenient threaded fitting needed to connect two lengths of steam hose, or a single length to a male or female threaded (NPT) outlet on any type of equipment. The Spud part of the coupling serves as one half of the connection and is usually fixed permanently to the equipment. The Stem and Nut attached (clamped) to the steam hose is the other half. 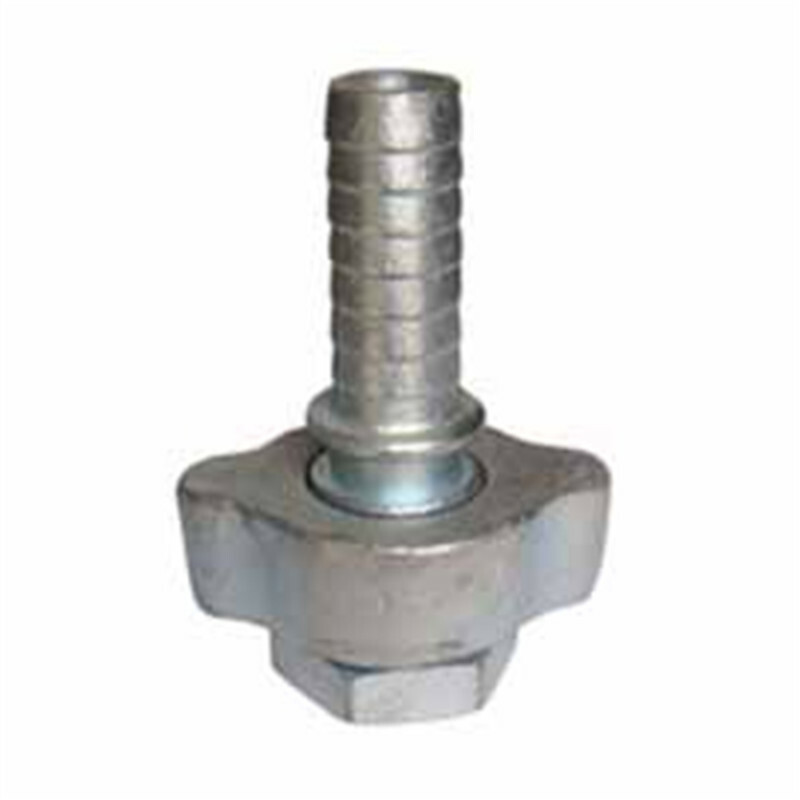 The two halves are connected or disconnected by rotating the Wing Nut on the Spud, to achieve a mechanical as well as a pressure seal. 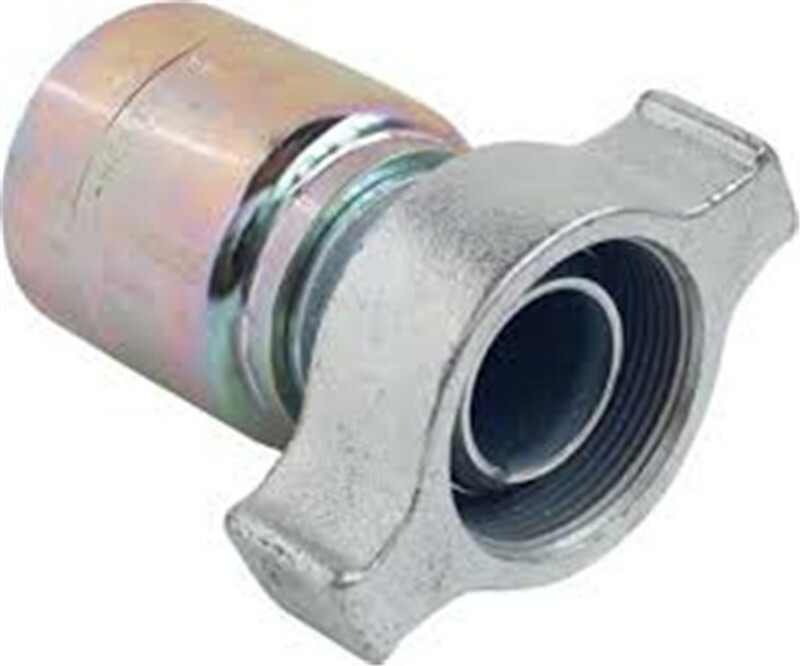 SERVICES: All-Purpose Hose Couplings, universally recommended for steam hose connections. 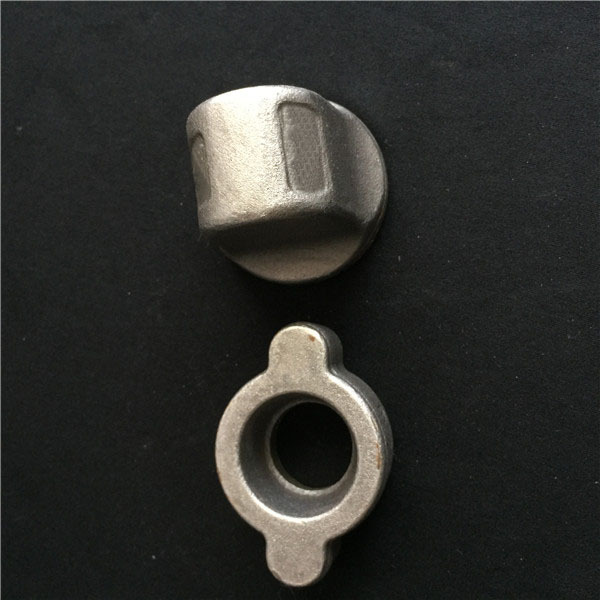 They are also widely used with equal efficiency for high or low pressure Air, Water, Liquid Petroleum Gas, Fluid Petroleum Products, Chemicals, Potable Fluids and almost any other type of fluid or gas. They can be applied to all types of rubber, synthetic, plastic, metallic (with special stems) or semi-metallic hose. Consult Factory for specific media capabilities. Looking for ideal Hose Steam Coupling Manufacturer & supplier ? We have a wide selection at great prices to help you get creative. 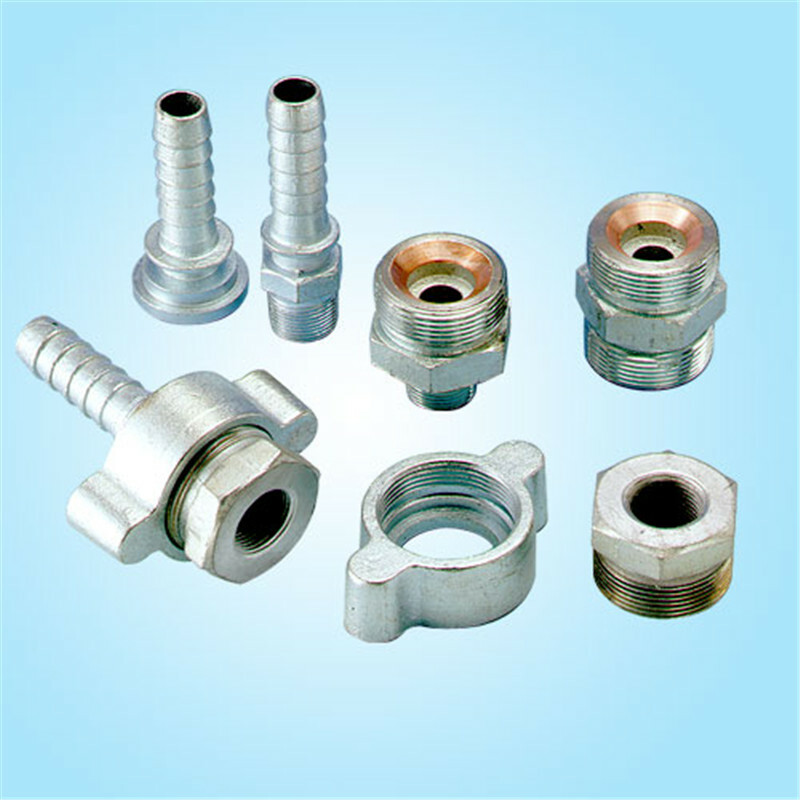 All the Coupling Ground Interlocking Joint Coupling are quality guaranteed. 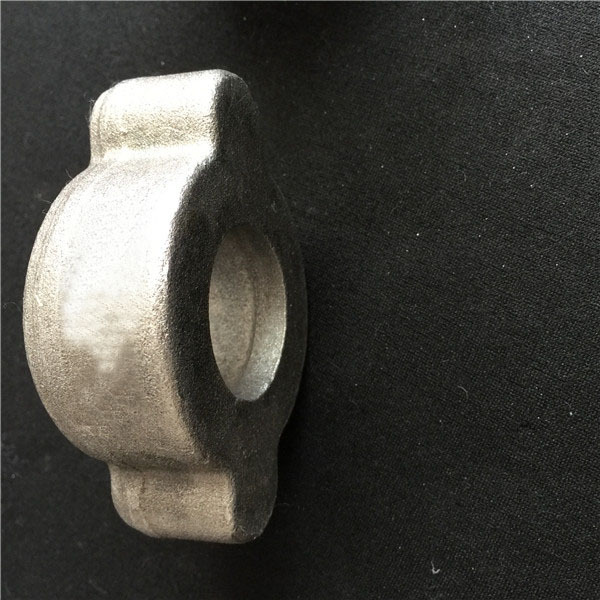 We are China Origin Factory of Swivel Ground Joint Couplings. If you have any question, please feel free to contact us.